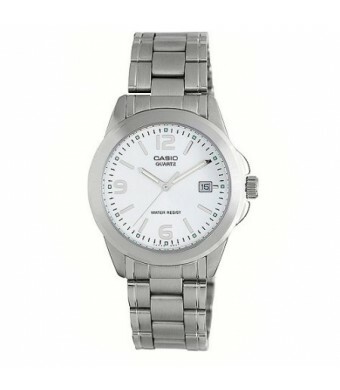 Keep track of time with this stylish Casio Men's Silver Dial Watch. It features a stainless steel case, a date window and luminous hands for enhanced visibility in dark conditions. 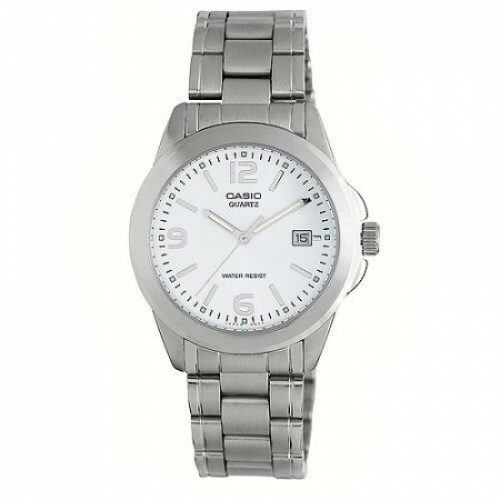 This model also includes a sweeping second hand, Arabic numerals and is water resistant to 50m. The Casio men's watch comes with a stainless steel bracelet and a fold-over deployment clasp for a secure and comfortable fit.